Is your backyard ready for summer fun? Whether you’ll be grilling, relaxing with a nice glass of wine or setting up a campsite for the kids, you’ll want to make sure the backyard is ready to receive guests. It will be easy to pick up little things like small stones or twigs from a tree. 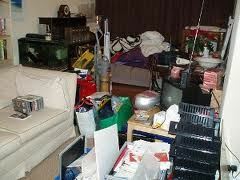 However, if you need to deal with the removal of bigger items, then you’ll want to bring in the pros from Junk King. One appointment with Junk King is all it takes to clear away all your yard clutter. There might be several items in your backyard that have “given up the fight.” These could be anything that has been battered by winter storms over the years. 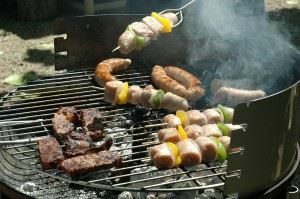 Things like tool sheds, fences, patio furniture and grills could all eventually need to be pulled out and replaced. Because you can stuff these kinds of things into your weekly garbage pickup, you’ll want to turn them over to Junk King for proper disposal. With Junk King, that “proper disposal” really means taking care of the environment. Everything that gets loaded onto the Junk King truck will be sorted by the crew. They’ll put out any item that they think can be recycled. This includes things like wood, dirt, leaves and concrete. Yes, a lot of your yard waste can be repurposed and reused. After the Junk King crew has worked their magic in your backyard, you might want to let them do a tour of the inside of your home. Here, you can point out all the bulky items you want removed and they’ll go onto the truck alongside all that yard stuff. Remember, you’ll have a two-man moving crew at your disposal so don’t hold anything back. Let them take away all your unwanted stuff. Because Junk King does a lot of recycling, they are able to avoid the heft dumping fees that landfills charge. Junk King is happy to pass those savings onto you. All you’ll be paying is a single fee that is based strictly on volume. It all comes down to how much space your junk will take up on the back of their truck. One price covers it all. Before your summer kicks into high gear, let Junk King clear out the clutter from your home and backyard. This entry was posted in Denver Junk Removal and tagged backyard, Junk King, junk removal on May 30, 2015 by Paul Durant. Last updated August 1, 2017 . If you have to pick one type of store to spend the day shopping, what would it be? Clothing, grocery, book or home improvement? You can tell a lot about a person by their answer to that question. If you pick “home improvement,” then you’re probably a DIY kind of person. You enjoy spending your weekends tinkering around the house or fixing a problem. There is a great sense of accomplishment to be had when you can finish a project and put something back to the way it was or make it better. Saturday mornings are probably the busiest time for a home improvement store. This is when all the DIYers are lining up the supplies for their weekend project. Of course, you don’t have to fix something to consider it a home improvement. You could simply clear out the clutter. That is totally a job for Junk King. When you hire Junk King to help remove all the unwanted stuff around your home, you’ll actually be accomplishing quite a lot without doing much work. That’s because the two-man Junk King crew who will be assigned to your pickup session will be doing all the lifting and loading. They’ll also be the ones driving the truck full of your stuff to its “final resting place.” That could be a recycling center or charity drop off. If you had to do all the work of renting a truck, loading it up and then driving to make the drop offs, then you can kiss your Saturday off good-bye! Instead, Junk King can be in and out of your property in less time than it takes to have breakfast. Of course, if your clean up job is a bit more involved, it might take longer. Any type of huge “hoarder” cleanup might mean bringing in additional Junk King teams and trucks. One recent job required six crewmembers and three trucks. That wasn’t a problem for Junk King. They were happy to get that job done even though it took all day. Hopefully, your cleanup won’t be as extensive. Still, you’ll only be paying Junk King a flat rate based on how much space your junk takes up on the back of the truck. It will be an extremely fair rate that won’t come with any hidden charges. When you’re ready to make clearing the clutter your home improvement project, Junk King will be ready to lend a hand. This entry was posted in Home Improvement and tagged Home Improvement, Junk King, junk removal on May 20, 2015 by Paul Durant. Last updated August 1, 2017 .